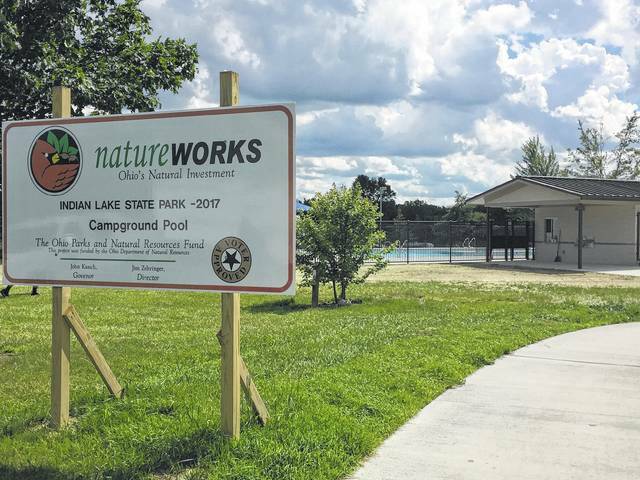 The highly anticipated new swimming pool at Indian Lake’s State Park Campground was expected to open the Fourth of July. Construction on the pool began this past winter with funds from the Capital Funding Budget approved by the State Legislature. The new pool has restrooms and changing facilities and is located next to the campground commissary. A brand-new $1.5 million swimming pool has been constructed at the Indian Lake State Park Campground. The pool was slated to open on July 4th, according to park officials. This is the first swimming pool built at the campground. Only a handful of Ohio State Park campgrounds have a swimming pool. Construction on the pool began this past winter and was funded by the Ohio Department of Natural Resources. Park campers had only the campground beach for swimming. 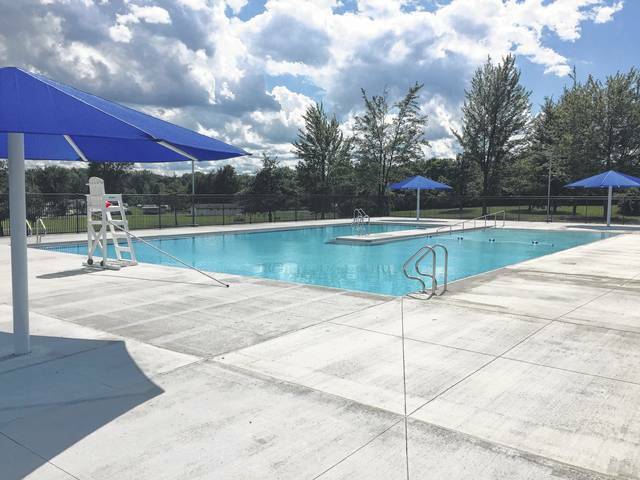 The new pool provides campers with an additional venue for swimming and has a maximum capacity of 341 people. The park itself has over 450 campsites and is one of the most popular and visited State Park campgrounds in Ohio. The park is brimming with excitement as passers-by snap photos of the pool and patrons at the campground’s commissary have been inquiring about when it’s going to open and the hours of operation. Roger Hart of Saint Paris, who was curious to see the new pool was impressed. “This is a very nice addition to the campground. My granddaughter Avery would like this,” said Hart. “The pool could take pressure off the campground beach which can get crowded on weekends. Plus some people prefer swimming in a pool. Its a win-win for both beach swimmers and pool swimmers,” adds Hart. 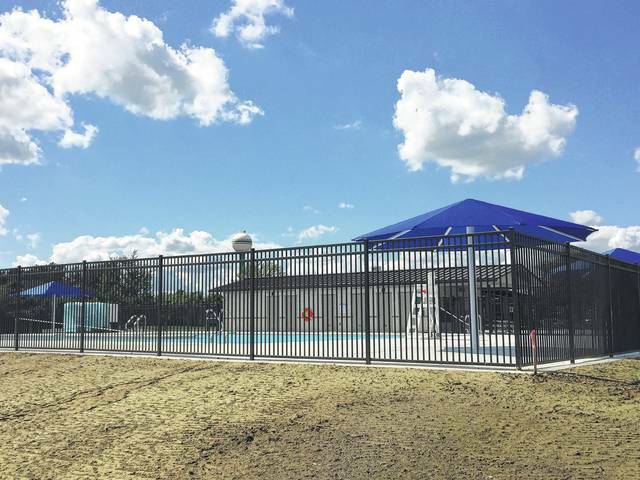 The pool is approximately 4,000 square feet in area and has restrooms, changing facilities and is located next to the campground’s commissary.